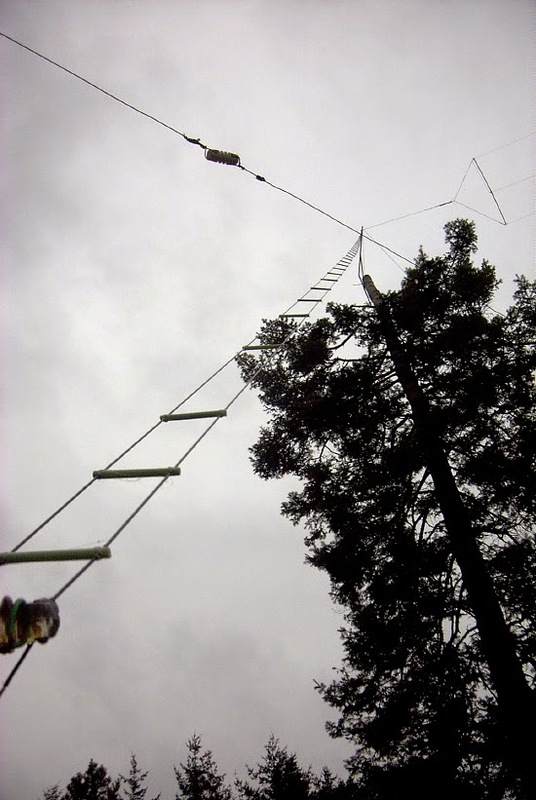 The three VE stations active on 630m CW are looking forward to working you tomorrow (Halloween) evening via the crossband mode during the 630m Activity Night. VO1NA - Joe, in Torbay, Newfoundland. Joe will transmit on 477.7 kHz starting at 2130Z Oct 31 and will continue until 0130Z Nov 1. He will listen for callers on 3562 kHz and 7062 kHz. VE7BDQ - John, in Delta, B.C. John will transmit on 474.0 kHz starting at 0100Z and will continue until 1000Z on Nov 1. He will listen for callers on 3536 kHz. VE7SL - Steve, on Mayne Island, B.C. I will transmit on 473.0 kHz starting at 0200Z and will continue until 0600Z on Nov 1. I will listen for callers on 3566 kHz and 7066 kHz. 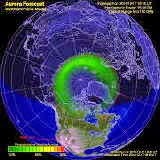 630m propagation conditions have been very good this past week and barring any sudden auroral events, should continue. 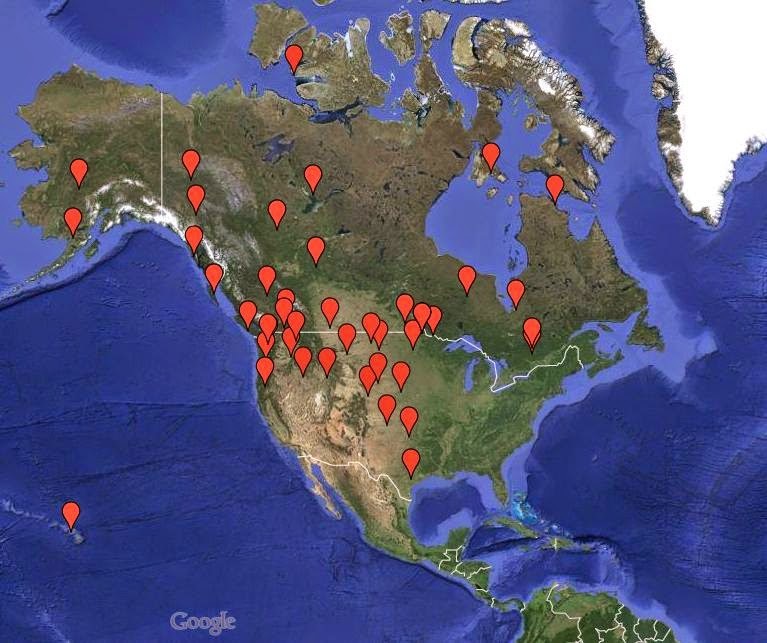 Unless you are within a few hundred miles of these stations, don't expect signals to be 'loud'. Even when running several hundred watts, antenna's that fit into backyards are not very efficient at radiating all of it! However, from what I have observed, propagation on 630m is very forgiving and has much in common with 160m. Distant signals can sometimes be surprisingly easy to copy when the sun is not up to its tricks! I have no idea how many stations will be participating on HF but please do not give up should your first few calls not be answered. If conditions appear to be really good, operating hours will probably be extended. Unfortunately Saturday night will probably be out since it is the Sweepstakes CW weekend and will pretty much plug the HF bands, wiping out the calling frequencies. 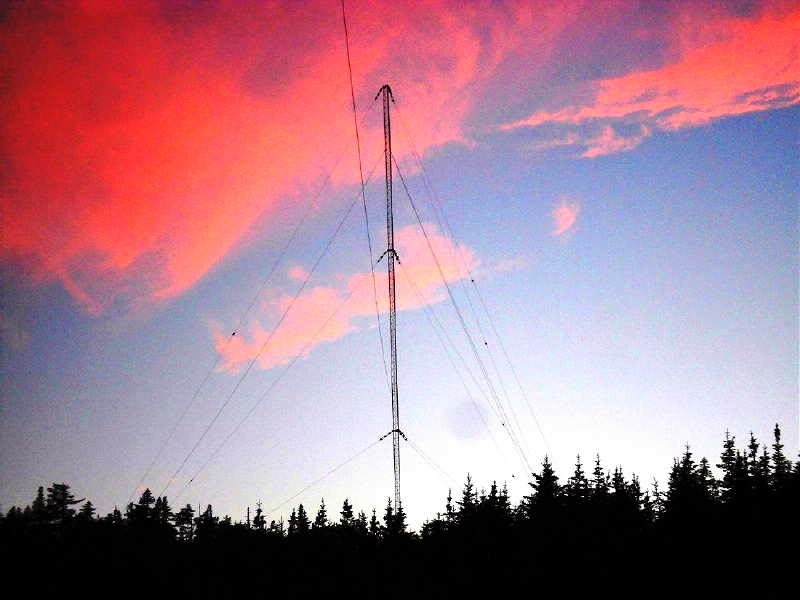 Don't forget to watch for the Part 5 Experimental stations (WG2's and WD2's) who will be beaconing and working each other on 630m directly. I'm sure they would appreciate your 'heard' reports as well. The weekend CLE event described in an earlier blogpost provided the first real opportunity to put my new LF loop to the test. Actually, it has already passed the most important test...surviving a large 60+ mph windstorm, while I was away on a short vacation. Unfortunately, a 60' Douglas Fir, just a few feet from the loop, blew completely down...thankfully, over the bank, in the other direction. Cleaning it up will take a few weeks but should provide some good firewood as well as exercise. Before leaving, I tied the end arms of the loop down just in case it might get windy, but it seems that the light PVC frame does not produce the same windage as my large wooden 10' loop frame. Highlights of the log include beacons from the Galapagos Islands (GLS-272kHz), Samoa (FA-270kHz), Cayman Islands (ZIY-344kHz), Guayas, Ecuador (PAL-365kHz), Pohnpei, Micronesia (PNI-366kHz), Matthew Town, Bahamas (ZIN-376kHz), Cayajabos, Cuba (UCY-380kHz), Kosrae Island, Micronesia (UKS-393kHz), two new Hawaiians and numerous first-time North American catches. Needless to say, I am pleased with the way the new loop is performing. The loop and preamp appear to provide a measurable improvement in overall S/N compared with my large LF inverted 'L'. 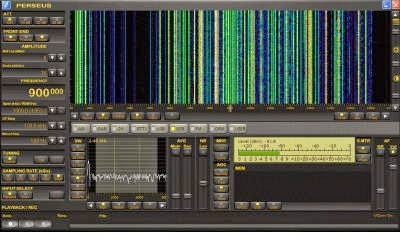 All listening was done using the Perseus SDR. Cycle 24 continues to behave like few others! 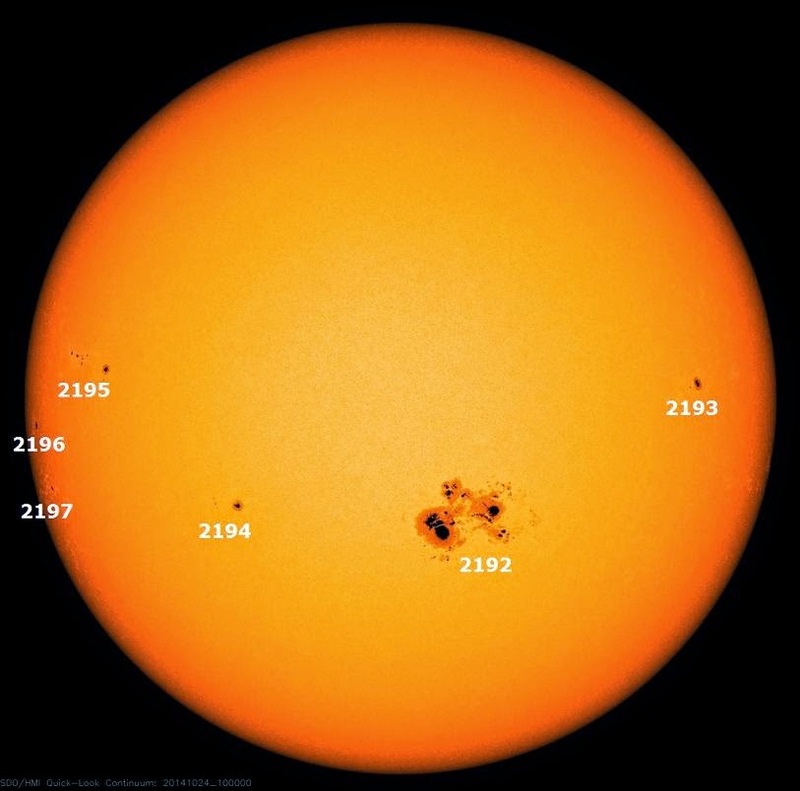 The slowly-decaying cycle released a major solar flare at 2247 UTC Friday....afternoon on the west coast. Topping-off at X3.1, it was the sixth-strongest of the cycle and originated from sunspot 2192, the largest in the past 24 years. Since then, there have been three more major flares from this same region, one at X1.0 (on Saturday) and the most recent (this morning) at X2.0. 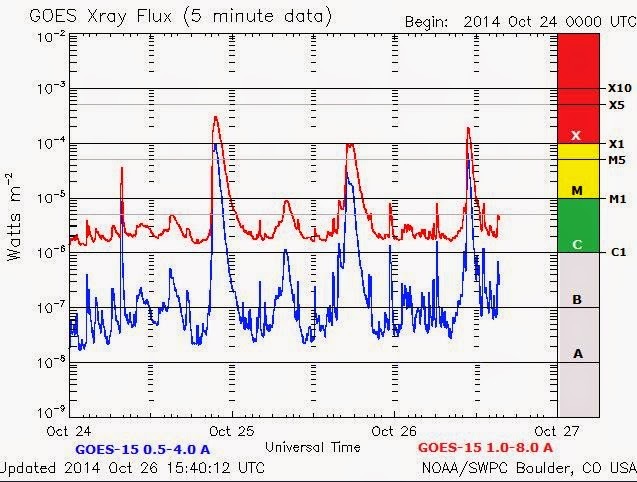 Oddly enough, none of these flares have produced CME's as little plasma release has been detected. Any associated auroral events will be very weak or unlikely in spite of region 2192 being geoeffectively positioned at the time of the flares. However, the near light-speed arrival of Friday's emitted UV radiation caused a fast rise in the muf as spotty signals from various regions of South America were soon being heard on 6m in North America. The most prominent signal was that of CX7CO (Carlos), in Montevideo, Uruguay. 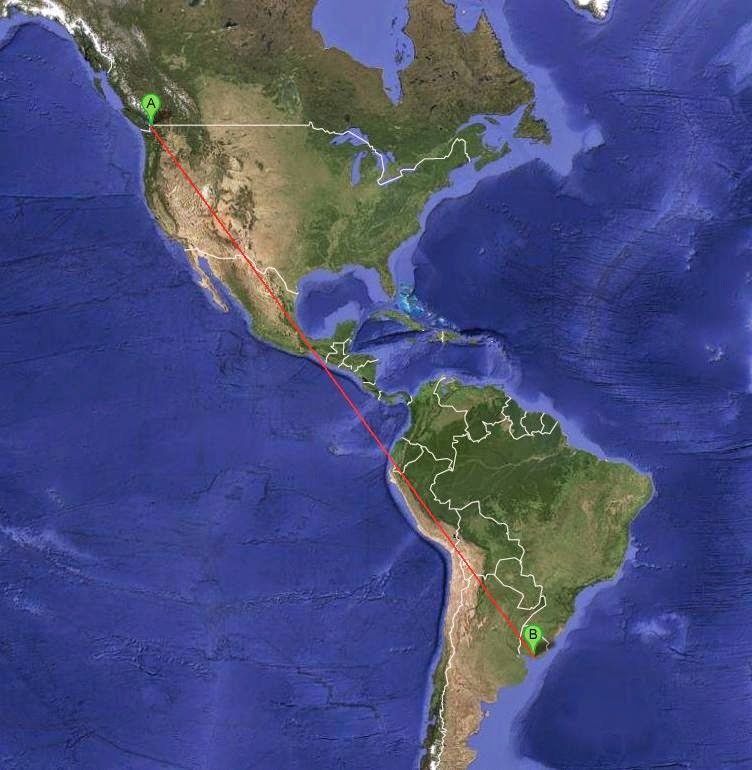 Thanks to the ever-alert KE7V, who posted news of the sudden arrival of Carlos, he was widely worked around North America including the west coast, a region that is usually left-out of the action. Known to have worked Carlos from here were myself, VE7XF, VE7DAY, KE7V, K7CW and possibly others outside of my hearing range. Shortly after working the west coast, Carlos was heard working JA's as his signal became weaker. 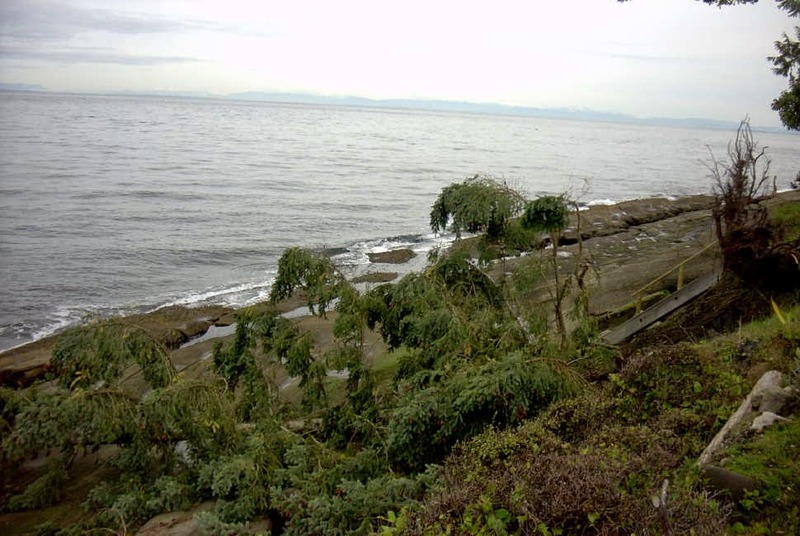 The distance from Mayne Island to Montevideo is 11,425km (7100 miles), which would tend to indicate that the contacts were a result of F2 propagation. Some have suggested a Sporadic-E-to-TEP link but I have my doubts...several 'TEP markers' were not present and there were no signs of any Es activity from this area. Although his signal peaked at 569, it is not uncommon for F2 signals to be weak, unlike the bone-crushing levels they can sometimes reach. As spot number 2192 slowly rotates out of view, it looks like the overall solar flux levels will quickly decline, diminishing the chances of any new activity on 6m this fall. One thing however is for certain...you just never know what might come next on the Magic Band! When it comes to putting a transmitter together for the BK, there are a lot of choices! My advice for a first-build '29 rig would be either a simple TNT or a Hartley-style oscillator. Both are easy to get operating and, when correctly optimized, are capable of putting out a nice-sounding signal. For a first-time build, with the main objective being to have something ready in time for the December BK, I would not be concerned about overall appearance or period-appropriate parts. For now, the only thing that must be period-appropriate is the tube...improvements can come later. As well, I would not be overly-concerned about running the maximum power of 10W input. If you are able to get a type '10' or the equivalent VT-25, or a pair of 45's, then the legal-limit is easily within reach. Utilizing something smaller, at just a few watts output, should not be considered a deterrent, as BK-operators all seem to have very good ears. Just 2 or 3 watts will guarantee plenty of contacts no matter where you are located! Shown above is a fine little TNT built by Kevin, WB2QMY, in New York. 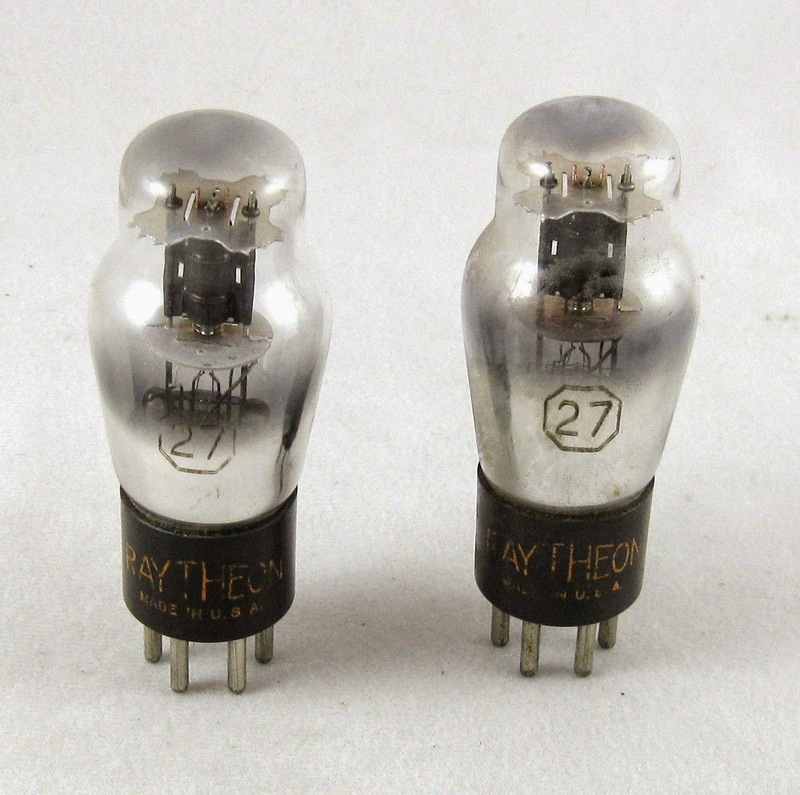 It uses a very affordable UX-201A triode, originally manufactured in 1925 for radio receivers. Although Kevin's TNT puts out barely 2 watts on 80m CW, we had no trouble working each other in a recent BK QSO Party. If you build it, they will come! ﻿If you prefer to tackle a TNT, here is the information you will need. 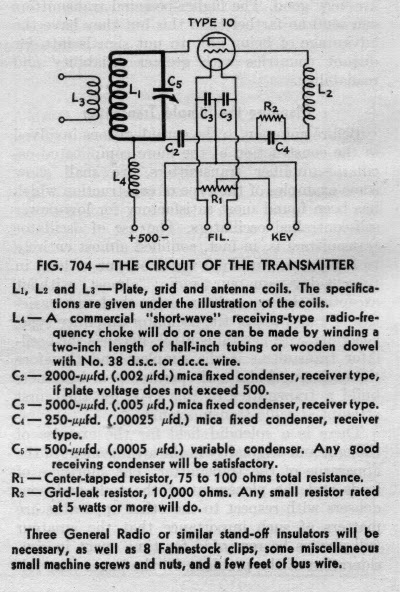 This circuit appeared for several years in the ARRL Handbook's transmitter-section. I suspect that it was probably built by thousands of young hams in the late 20's and early 30's and affordably introduced most of them to the magic of radio. For more building details, including how to keep high-voltage off of the main tank coil, see the information on my website describing the TNT project. 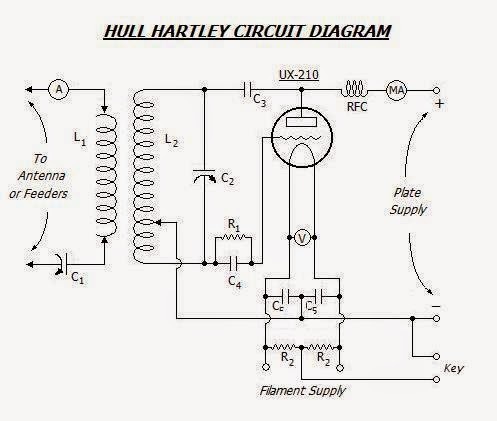 ﻿﻿﻿﻿Should you be interested in tackling a Hartley, here is an interesting circuit described by Nick, WA5BDU. Nick's circuit uses the readily-available '27 type, popular because of its indirectly heated (modern style) cathode. Nick fully describes his project here. Such a transmitter would readily lend itself to a parallel arrangement of two or more triodes, such as the 27 or the 45 and would develop good power levels inexpensively. 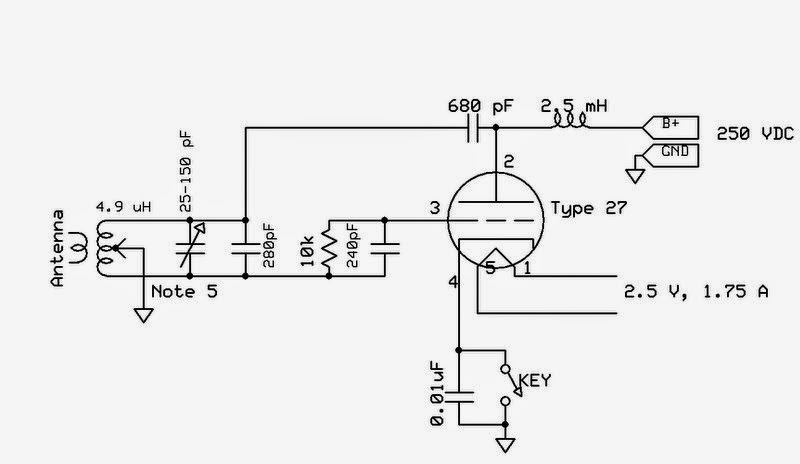 ABØCW has designed a Hartley oscillator using a pair of 27's in parallel and uses them to drive a small amplifier. 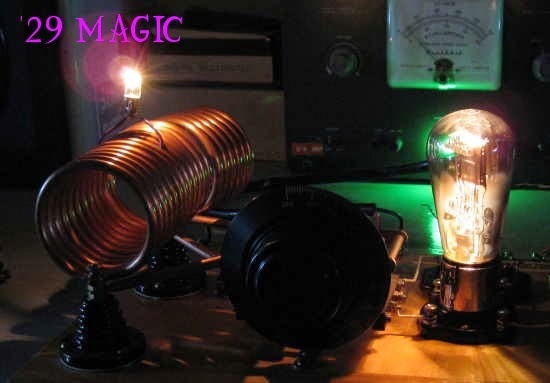 As described on his website, the oscillator would make a fine stand-alone transmitter with a simple link-coupling antenna circuit. You can find a list of '29-style related building links, as well as a gallery of transmitters constructed by others, at the bottom of my TNT web page here. And....circuit ideas, help with parts and lots of BK-chat can always be found at the Yahoo AWAGroup where the focus is mainly on building and operating. How time flies...once again it's time for the monthly Co-ordinted Listening Event (CLE) for NDB hunters....the 187th event. These always interesting and popular affairs take place over three nights, with this one starting on Friday, October 24th at local noon and running until Monday, October 27th, local noon. This time, it's a two-part activity, should you decide to chase normal DX beacons as well as those from your own country or state/province. Here are the details. If you have a wall map in your shack, you could draw a circle on it. It will be accurate if it is a great circle map centred on your location. in AUS, CAN and USA, that means your State or Province. others to know about NDBs that are not currently active. will also be of interest - in a third part of your log. Reports may be sent to the ndblist or e-mailed to either myself or CLE co- ordinator, Brian Keyte (G3SIA). It was very exciting to see two new reporters to last month's event after reading about the CLE right here. Hopefully there will be more first-time reporters for upcoming CLE187. 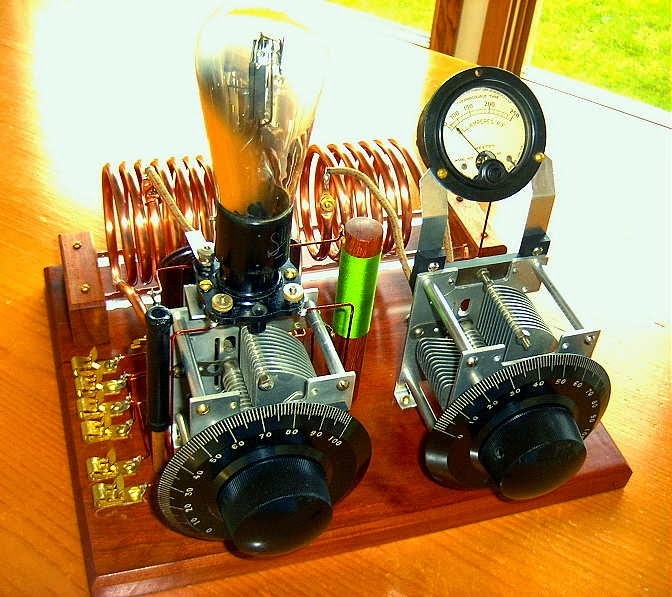 Most hams in the late 20's and early 30's seemed to be using simple transmitters...one or two tubes at the most. No doubt the poor economics of the time made it difficult to build anything really elaborate but it didn't seem to stop them from getting on the air with whatever they could put together. New rules for amateur radio signal stability came into effect in 1929, making that a pivotal year for amateurs, resulting in several new ideas for 'modern' transmitters hitting the publications of the day. All of the simpler, one-tube transmitters, were self-excited oscillators capable of pretty good sounding signals when operated correctly and when the wind wasn't blowing the antenna around. Being directly-coupled to the antenna meant that any variations in antenna impedance caused by antenna wire movements, would result in the note rising or falling in frequency by several hertz with the resultant 'musical-sounding' note. You can usually hear lots of these during the windy winter BK Party! 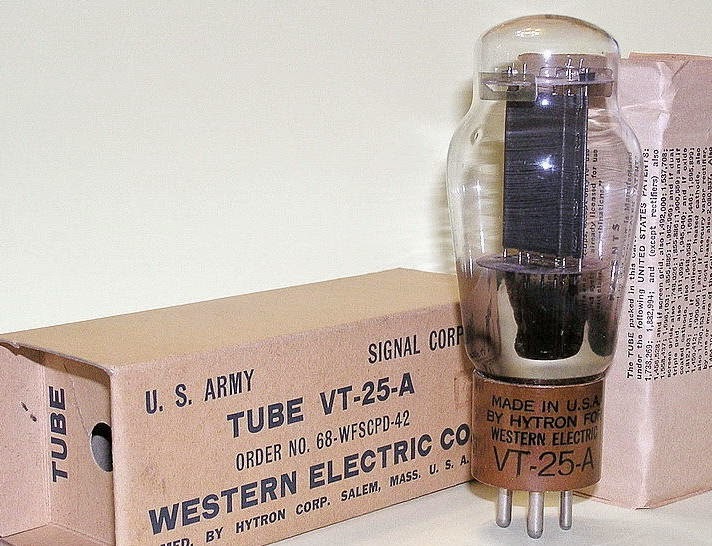 From what I can determine, the most popular first-time transmitter was the one-tube TNT (Tuned-Not-Tuned) style as it could usually be built with parts stripped from an old broadcast receiver. With a low parts-count, it was easy on the pocketbook. The grid coil was broadly resonant near the plate circuits frequency, resulting in enough feedback to sustain oscillation. The grid coil really needs to be optimised (a simple procedure) for peak efficiency and note quality. You can listen to the note quality on my own TNT while transmitting on 40m. The Hartley oscillator is just as easy on the pocketbook as the TNT, and in the opinion of most, capable of an even better-sounding note once properly optimized. This transmitter is optimized for best note-quality and plate efficiency by finding the correct tap point on L1. Hear my own Hartley's tone while transmitting on 160m. The third common transmitter of the early 30's was the TPTG (Tuned-Plate-Tuned-Grid). The TPTG style is a step-up from the TNT and similar in design. Although the added expense of a second variable capacitor made it less popular than the previous two styles, optimizing performance was somewhat easier since the grid circuit could be more readily adjusted for the oscillator's 'sweet-spot' without having to add or remove turns on the grid coil. All of the triodes mentioned in my previous blog will work well in the above circuits. Keying is normally accomplished as shown below, by connecting the balanced filament resistor on the directly-heated cathode to ground. It is important to know that construction need not be fancy to get on-the-air for the BK and there is no reason why modern components cannot be used, along with the era-appropriate tube. If you're still undecided, I'll give you some building details to consider next. I'm presently on the high seas...well not too high...off the coast of Oregon and using the ship Internet system...if the video links in today's blog do not show up, because of limited bandwidth uploads, they may be found on a YouTube search for W0VLZ and for N2OUV.....hopefully they show up and this won't be required! As mentioned in an earlier blog, the annual winter Bruce Kelley (BK) QSO Party, usually spurs some new construction of transmitters styled after those that were popular in the late 20's and early 30's. The main stipulation for entry into the two-weekend affair is that transmitters must be self-excited (no crystals) and use tubes that were available in 1929 or earlier. See more of this transmitter in action here. One of the first things that might seem impossible to obtain would be a suitable tube that was available in 1929. 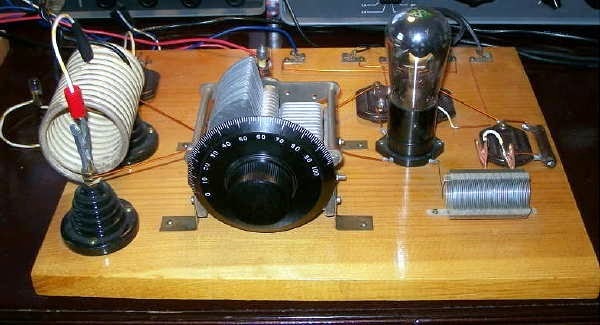 Most of the tubes used in transmitters back then were designed for receivers, usually audio tubes that were pressed into RF oscillator or amplifier service. 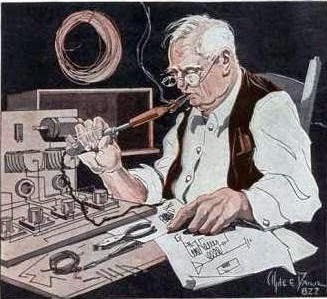 In the dirty-thirties, larger RF tubes were expensive and beyond the reach of most amateurs unless they had deep-pockets. Tubes commonly found in BK transmitters are the type 10, 210, 45, 245, 27 and the 227. All of these types are still available today with some being more costly than others. The most common tube is the type 10 or 210 which is also available in a military format, still NIB, as the VT-25. This is the same tube used in the WØVLZ transmitter. This tube can easily handle the 10W power requirements imposed by the BK and then some. Typical prices range from $50 and up. The next most popular is the 45 or 245, which is pretty well maxed-out at around 5-7 watts. The cost of a 45 is about half that of a VT-25. The widely available and inexpensive 27 / 227 will produce 2-4 watts of output...more than enough to work across the continent under normal conditions. 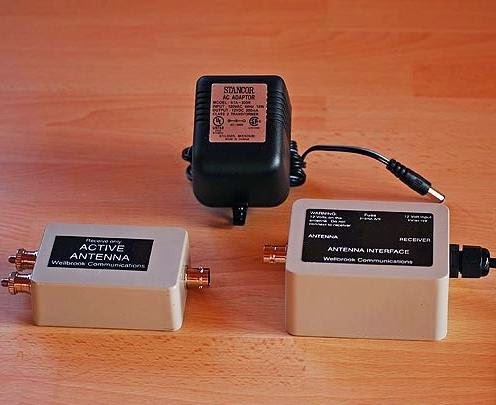 The low cost (around $5) makes these particularly attractive for the first-time builder as a transmitter using a pair of these (or more) in parallel is an easy way to get started. Suitable tubes are always available on e-Bay and from dedicated online tube-sellers. A quick Google-search will turn up several sellers, with prices and condition. Of course, one of the first places to look should be any of your ham friends with deep junk-boxes, especially those that have been building or amassing parts for many years. Check out the next ham fleamarket...especially those dusty old boxes under the seller's table. And...there are probably several hundreds of basements still filled with suitable old parts, just waiting to be liberated....seeking them out is all part of the '29 building fun. Once a decision has been made to go forward with a '29 project, the first thing is to decide on the type of transmitter to build. There were three popular designs back in the late 20's, each with their own pro's and con's. I'll tell you more about these next and give you a few suggestions for getting started. In the meantime, see what your 'oldest' ham acquaintance might have in his basement and keep an eye-out for any ARRL Handbooks from the early 30's as they are full of valuable building ideas....and you may wish to check-out K7JPD's ideas for finding old parts. After viewing so many interesting YouTube videos of various Perseus DX catches, I realized that my present method, using just my I-pad, had to change. I asked a few of the folks that had been posting high-quality captures, what method they were using, and learned a bit about "screen recording" software. These programs allow you to capture, in reasonable definition video, exactly what is appearing on your computer screen....in this case, the Perseus user interface. I ran across several freeware offerings, all requiring downloading and installation but reviews of most showed problems ranging from excessive malware along with the software, embedded viruses and glitchy performance issues. I then came upon an online screen recorder called "Screenr" which required no downloading, no sign-up and had rave reviews from several sources. Screenr allows you to capture up to five minutes of video per file and then to either save it on your own system in .mp4 format for editing, upload it to a host of social media sites or directly to YouTube. I fired-up Perseus and then Screenr to gave it a try. The first thing that popped-up was an adjustable frame that allows you to size your video so that just the wanted subject is visible and any additional screen clutter is not included. As a test, I made two recordings and uploaded them to YouTube. To my delight, it all worked quickly and seamlessly although it seems that I need to do further experimenting with my audio level settings. The first video shows two new broadcast band catches that were logged this week, using the new loop pointed to the east. KRJO in Monroe, Louisiana (1 kW) and CHTO in Toronto (1 kW) both in the top-end of the band. The second video shows my two favorite NDB-band propagation indicators... AA (365 kHz) near Fargo on the ND/MN border as well as little 25-watter, YLJ (406 kHz) in Meadow Lake, Saskatchewan. Either of these make fine prop indicators for the 630m as well and can be heard from both the east and the west parts of the country. The bottom line is that Screenr seems to work extremely well and is an excellent way of saving some of your SDR catches for web or blog site posting. As well, it could be used for making voice-narrated instructional videos limited only by your imagination....it gets a 5 out of 5 from me! With the return of cooler weather and a few overnight rainy periods, the brown summer-lawn has suddenly turned green and is growing far too fast once again. I find this time of the year, as well as early spring, the best time to plant any new radials that I like to continuously add to my vertical antenna systems. My large inverted 'L' for 2200/630m as well as my half-slopers for 160, 80 and 40m, all have a common base, which lets all of the antennas benefit from the radials laying just beneath the lawn. The procedure I follow is fairly easy but does take time and I usually just add four or five each year. Although I haven't kept an accurate count, I know the system now has fifty or more radials varying from 30' to 70', fanning out in various directions from the base of my main tower. The terminated end of the radial is first pinned-down using a U nail or a longer 3 1/2" galvanized finishing nail that has been bent over in the vise, with the height of the grass determining which one I use. 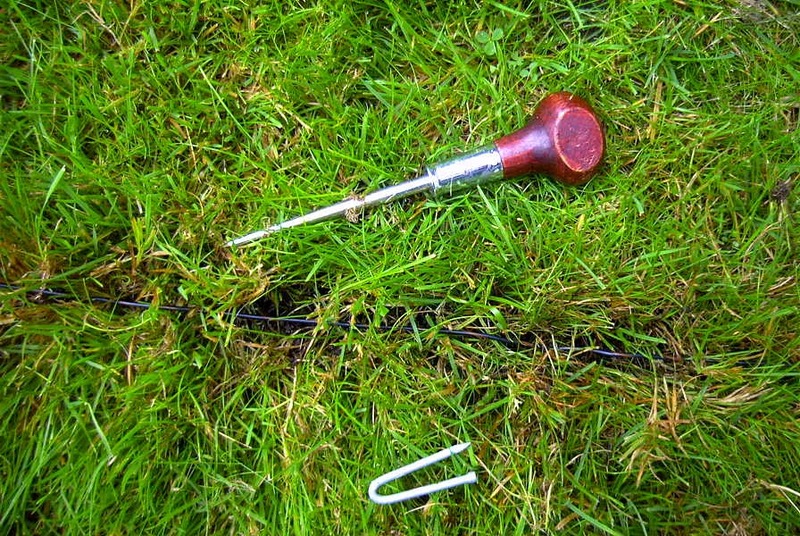 Shorter grass lets you get away with the smaller U nails, which can be found in most building supply stores. 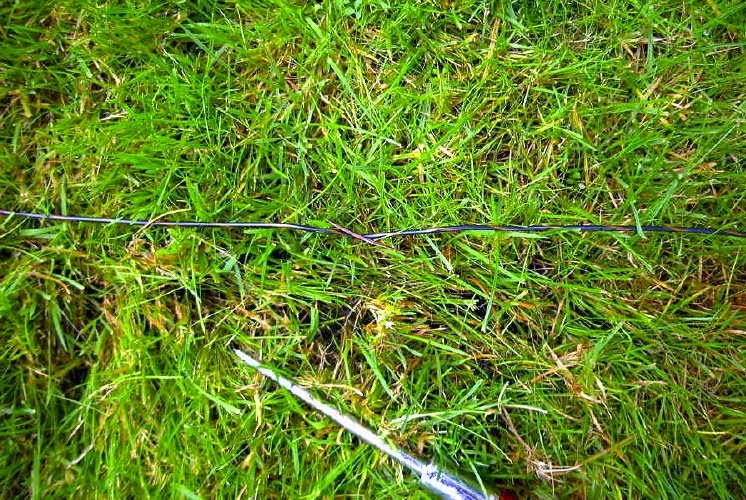 Once pinned, the grass is parted using a stick, knife or awl, to produce a shallow gap for the radial to sit in. I try and do a 3-foot section at a time before placing the wire into the opened-up area. Another way that is effective, especially if the grass is short and the soil dry, is to run the blade of a knife through the grass to actually slice a shallow slit which the wire can be pushed into. This allows the wire to be almost completely buried immediately. Both methods require pinning, with the nails, every few feet. 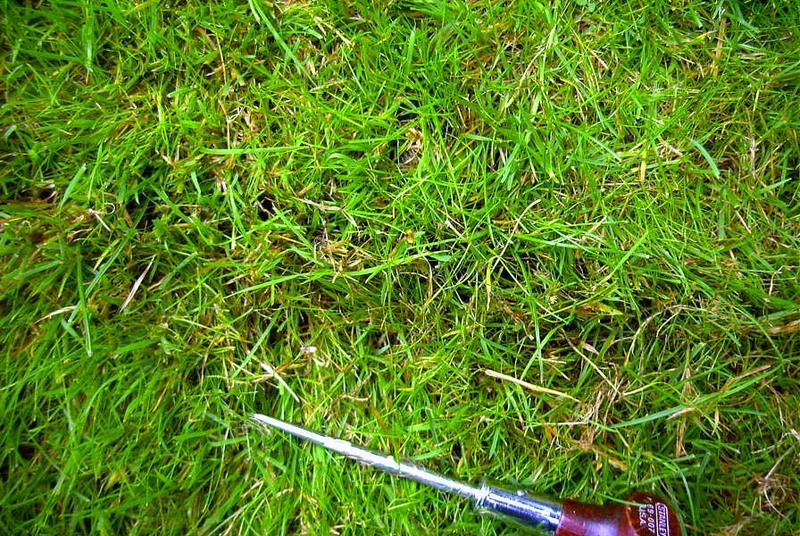 Once pinned in place, the grass can be quickly ruffled back into place, covering the radial. When done in the fall or in the spring, the grass will very quickly completely overgrow and incorporate the radial into the lawn, never to be seen again. 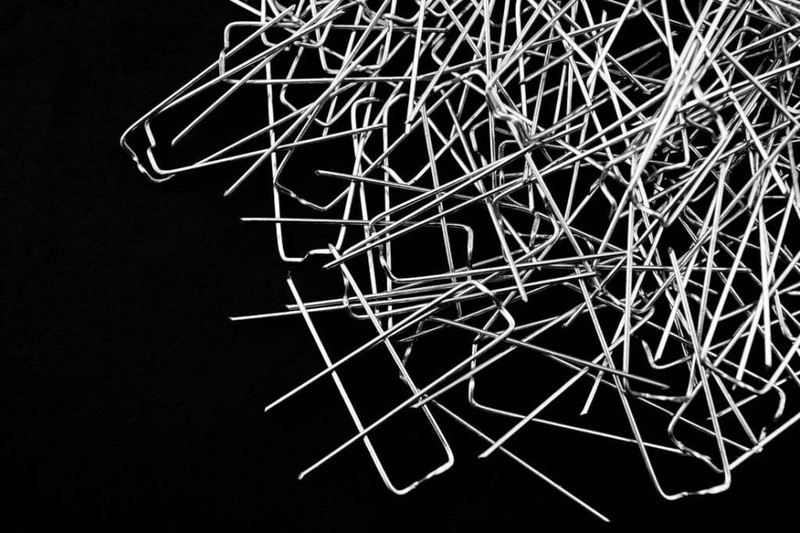 An interesting product that I have recently learned of may also be of interest - "Ground Staple Pins" by RossRadio. Details may be viewed at their website. It really is very little work for the immediate payback realized by lowering system ground losses and increasing your antenna efficiency and overall ERP, especially on LF. With the winter DX season just around the corner and the pleasant fall weather, it couldn't be a better time to plant a new crop of radials in the backyard! Joe should have pretty good coverage of the east coast with his fine antenna system, shown above. 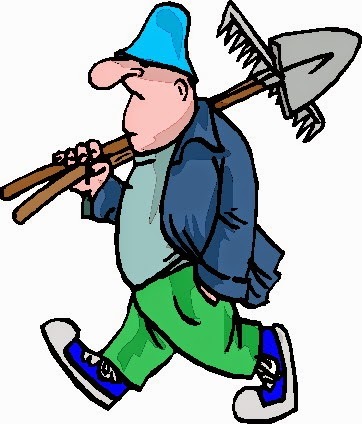 Please note that, at present, the 'crossband activity' is planned for Friday evening only since Saturday night's CW Sweepstakes Contest will make HF listening more difficult. 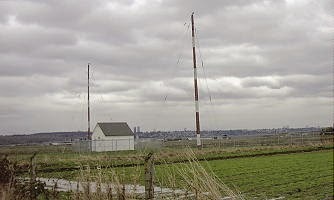 All stations will either call CQ or run “VVV” marker beacons while listening on their respective HF receive (QSX) frequencies, which will be included in the CQ or marker beacon message. Also know that it is completely legal for U.S. and VE amateurs to contact Canadian amateurs via the crossband mode. Unfortunately, it is not possible to contact those stations that may be operating in the Experimental Service and not using an amateur radio callsign. For additional information, please see the ARRL's description of the event. 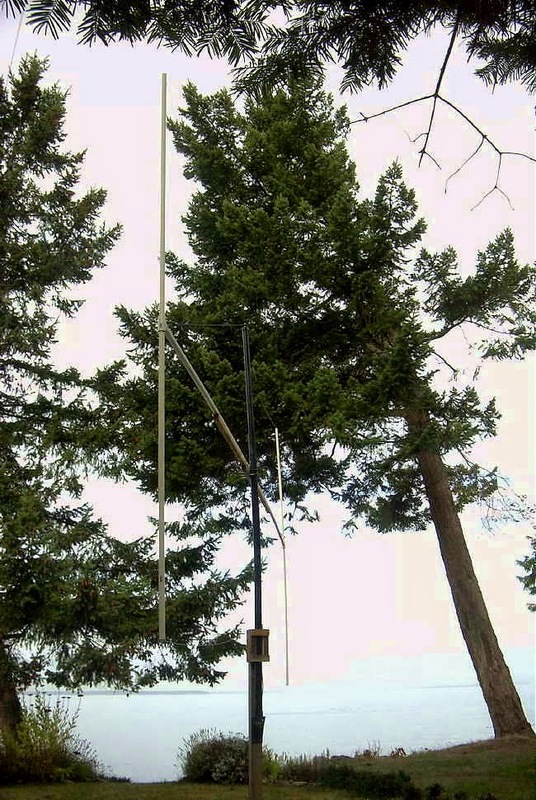 Remember that you don't need a fancy antenna to listen on 630m. One of your HF antennas, fed as a 'longwire', will probably do the job....even better if you can tune it to resonance. I will blog another reminder just before the event. We all hope that you can be there! The recent closure of Todd's valuable site has resulted in the entire data from there now being mirrored at two locations in .pdf format. It's all there, complete with all the schematics and photographs from the original site ...and is very easily searched. The file is about 40Mb and consists of 945 pages! Jason, NT7S has posted the file here. Steve, VK2JA has posted the file here. If you missed it earlier, Todd's new blog is slowly starting to take shape and by the looks of it will soon be running full-speed ahead. As Murphy would have it, and in spite of the low amount of solar activity, LF/MF propagation has been very poor since getting my new 10' x 20' loop in place. The few front-to-side nulling checks that I have done, have produced results varying from around 20db to 30db, depending upon the signal. I suspect the depth of null is also affected by the signal's arrival angle but there is still more to learn. 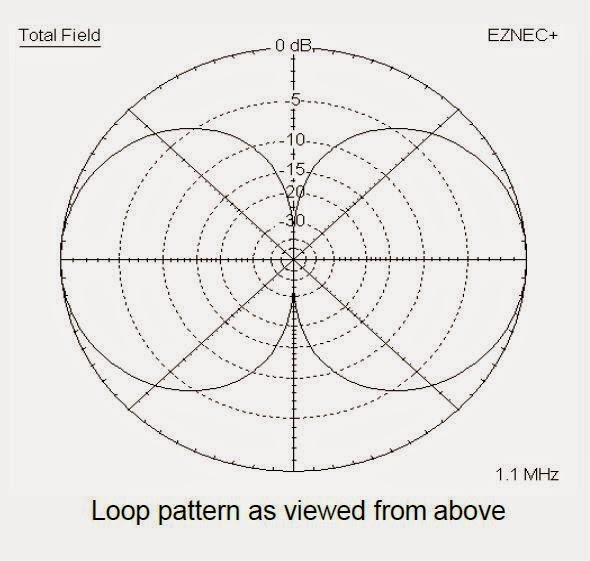 The pattern seems to be very close to that of a typical circular loop...the classic figure-8 pattern illustrated below as shown on the Wellbrook data that came with my ALA100LN preamp. More typically, the null is around 21-22 db as shown on this test while listening to the ground wave carrier of the YZA ndb (236kHz) located in Ashcroft, B.C., about 150 miles to the NE. As expected, the null is fairly sharp and the front / rear lobe, fairly broad. One short check at dusk, produced nice signals from CJBC, the French-language station in Toronto. The past few nights it has been very strong but with a strong echo effect. I wonder if there is more than one CBC outlet here (860kHz), such as a low-power repeater, causing the echo. At the same time, while still fairly light outside, WCCO in Minneapolis had a nice signal just before sunset. No matter how poor conditions become, it seems that the Hinchinbrook (Alaska) ndb, 'ALJ' (233kHz), is always strong....looping north. My apologies for the video quality. If you know of any software available for making full-screen Perseus video captures so that I might improve my technique, please let me know. Presently I am just capturing them on my I-Pad which leaves a lot of room for improvement. Hopefully conditions will only get better as the season progresses and I am able to give the loop a good workout....before it gets too windy! "....I will convert all the site files into pdf files and stick them on a download site sometime in the future. I may re-emerge with a small-scale site or blog at some point, but don't really know for sure." Happily, today Todd has informed me that he will indeed begin a new POPCORN QRP blog in which he hopes to update with his benchwork descriptions that we have all come to enjoy. I have listed Todd's blog site on My Blog List to the right but you may prefer to set your bookmarks for his site. Don't expect too much until later in the month as he is still working his way up the blogger's learning curve....hopefully we will see him back soon. Best of luck with your new endeavour...and, like the original website, I'm sure it will be great! Some may recall my blog back in July (Wellbrook Loop Plans) describing a new loop that I had been thinking about as a possible replacement for my 10' shielded loop. I had been doodling various construction ideas using PVC tubing in an effort to keep it as light as possible, without introducing any metal near the loop. On Monday of this week, I dismantled the 10' loop in preparation for my new experimental rectangular loop. I've had the Wellbrook loop preamp here for a few months, so it was now or never, while the weather was still 'antenna-friendly'. Now I do understand that this goes against one of ham radio's long-standing traditions that dictates all antenna work must wait until the weather can't get any worse. Antennas built in the winter rain always work much better than ones put up in the summer. Hopefully it's not Wouff-Hong or Rettysnitch punishable but the fall DX season is almost upon us and I'm not waiting for the rain! 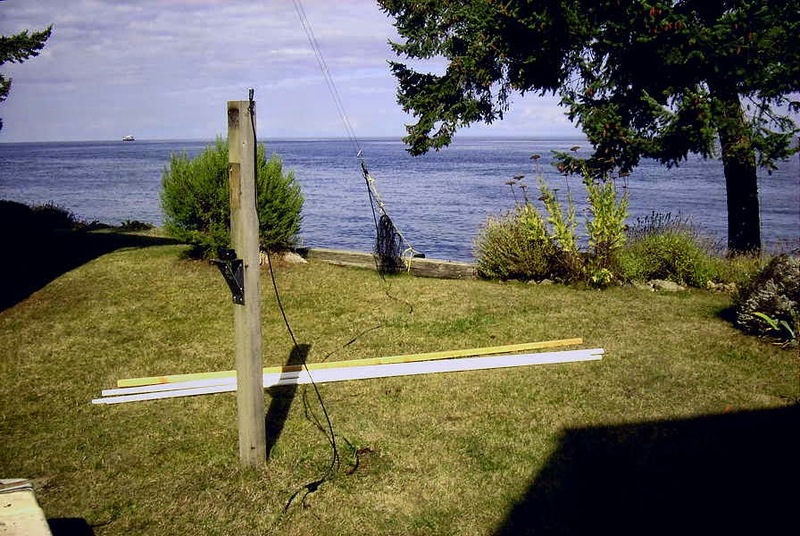 The main boom section is composed of two sections of 1" PVC thick-wall (Schedule 40) pipe joined at the center and reinforced with a 10' section of 2" x 2" Douglas Fir. In addition, the boom has a truss of 1/4" Dacron to take out any end-loading sag. The vertical end sections are 3/4" Schedule 40 PVC pipe, fastened with a T at the boom end. 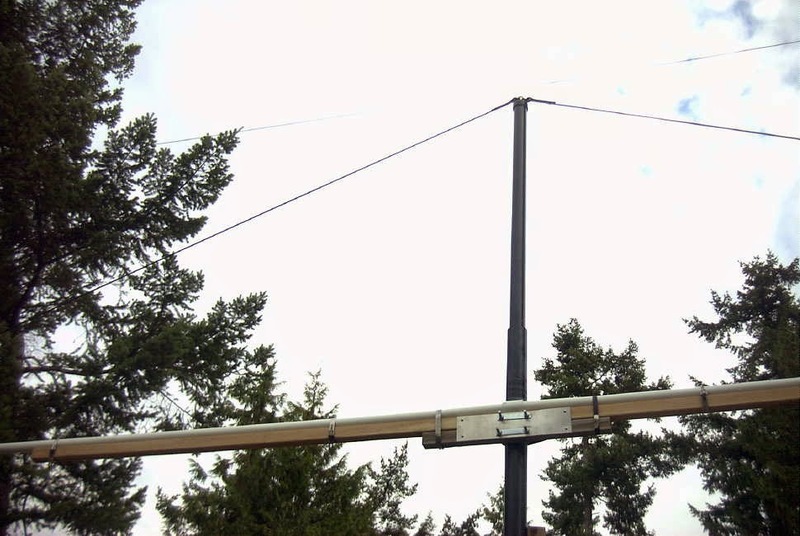 The center mast is made of 2" Schedule 40 ABS pipe with a long section of 1 1/2" ABS nested inside that telescopes upward to anchor the truss ropes and give some additional rigidity to the mast. 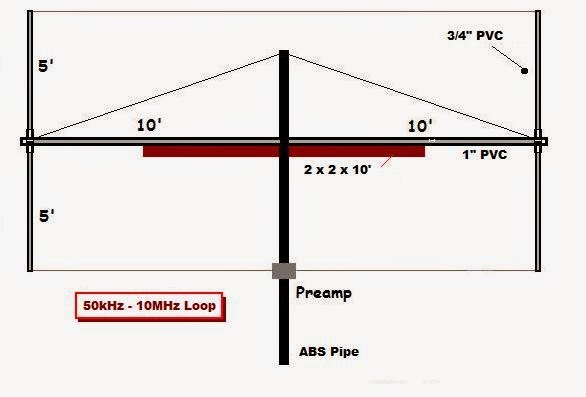 This type of construction would lend itself well to anyone interested in a rotating Flag antenna for the BCB / LF or 160m. The costs are very low, the structure is lightweight and the materials are readily available at most hardware outlets. Although the preamp is completely sealed and weatherproofed, I still decided to mount it inside a container. 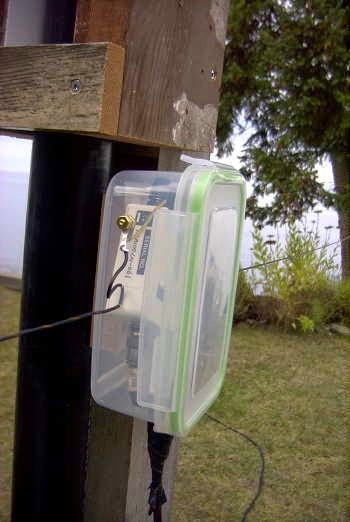 The container also provided a convenient anchor to terminate the loop end wires (PVC-coated #18 stranded) without putting any tension on the soldered terminals. Although I have not had much time to listen, and conditions are still in 'recovery' mode from earlier disturbances, initial indications are that everything is performing as well, if not better, than expected. It certainly outperforms my 10' active shielded loop by a large margin. I have yet to do any serious S/N comparisons between it and my primary LF receive antenna, a large inverted L, which must be tuned to resonance for the desired listening range. I believe that the very quiet loop / Wellbrook combination will provide an overall S/N improvement. I have always believed that smaller loops provide deeper and sharper front-to-side nulls so I was pleasantly surprised to measure (using Perseus) null depths from 25-30db, on various groundwave signals....more than expected. Skywave signals also deliver sharp deep nulls in the order of 22 - 25db...again surprising, but I'll take them! 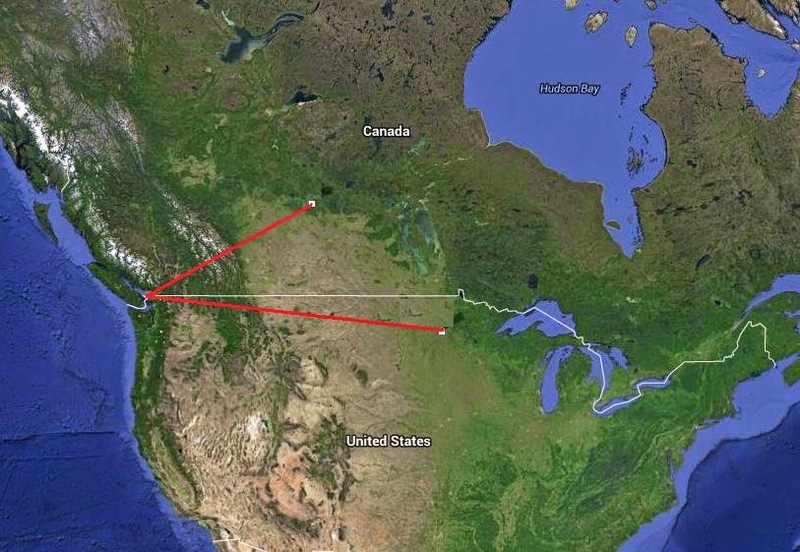 A brief listen pointing S-E last evening turned up good signals from 1 kW'ers KYHN (1650kHz) in Fort Smith, Arkansas and KKGM (1630kHz) in Fort Worth, Texas. An early morning listen revealed good audio from JOIK (567kHz) Sapporo, Japan and JOAK (595kHz) in Shobu. Down in the ndb band, little 25-watter 'IP' on 210kHz was an all-time new catch from Mobile, Arizona. There is still much to learn from this new antenna system but the biggest challenge will be keeping it up all winter. I did lose one of my 10' loops after several years, due to wind, when the main (un-reinforced) PVC mast eventually failed from flexing fatigue. I will tie the ends of the new antenna down when the winds get strong to reduce as much mast flexing as possible. I could however, run the risk of violating another long-standing radio tradition..."if your antenna stayed up all winter, it wasn't big enough". I just can't win. It's almost that time of the year when, once again, the '29ers start preparing for the winter Bruce Kelley Party. In case you're not familiar with the 'BK', it's a winter event celebrating the transmitters of 1929 and earlier. Transmitters used for the event must be self-excited only...no crystals allowed...and the tube(s) used must be those that were available in 1929 or earlier. It's an eye-opener to hear how the band must have sounded in the early days of amateur radio CW...even better if you're making those sounds yourself. The 'BK' usually spawns a flurry of construction, so if you think it is something that might interest you, you have until early December to get ready! Unfortunately many aspiring 29ers always leave it too late and inevitably run out of time before all of the building challenges can be overcome. Over the next few weeks I'll have more to say about the 'BK' and '29 style in general, since this year, I hope to add an amplifier to my self excited Hull Hartley, shown above. For now, I'll tease you with the basic information regarding the QSO Party as published by the 'BK' sponsor...the "Antique Wireless Association"......just in case you want to start planning an entry (hopefully!). 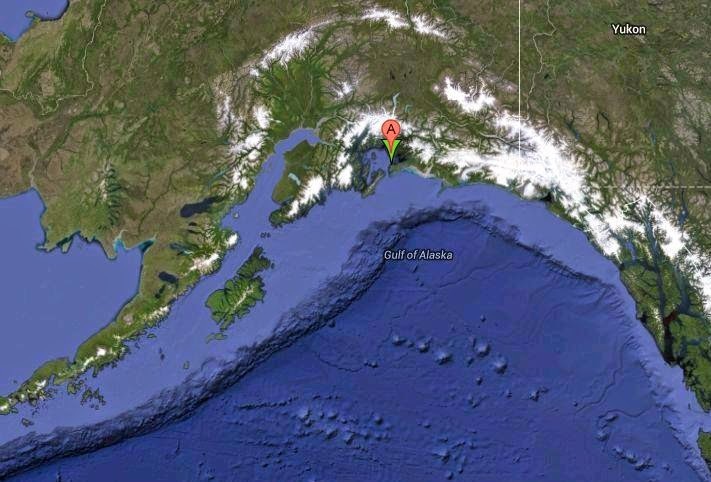 This year for the first time we are activating Bruce Kelley’s W2ICE call sign as a 1929 SPECIAL EVENT STATION! W2ICE hasn’t been heard on the 1929 QSO Party since Bruce’s passing so this will be a real treat to hear and work the namesake station of this event! A special event QSL card will be available for valid contacts with W2ICE. QSL information will be posted on the AWA website. W2ICE is operating as a 1929 station and contacts count just like any other station. The 1929 QSO Party was started in the early 1990’s and championed for many years by Bruce Kelly W2ICE, an AWA co-founder. Prior to Bruce’s passing, he asked his close friend John Rollins W1FPZ to keep the 29 QSO Party going. John Rollins managed the QSO party for many years and renamed it the Bruce Kelly 1929 QSO Party in honor of Bruce. Ten years ago John Rollins asked me to manage the 29 QSO Party for him and Bruce, and to keep the event alive because it meant so much to both of them. Objective: Contact as many 1929 stations as possible. Contact exchange consists of RST, Name, QTH (State such as ME or MN or NY), last two digits of the year of the transmitters design or publication (such as 29 or 27 or 23), type of transmitter (such as TNT or TGTP or MOPA or COLPITTS), and power input (such as 6W or 9W). 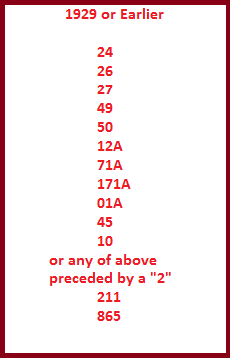 Rules: Transmitters must be 1929 or earlier types of self oscillators such as the Hartley, TNT, PP tuned grid tuned plate, MOPA, Colpitts, etc. No crystal oscillators. Tubes must have been available during or before 1929. Typical tubes often used are type 10, 45, 27, 211, 71A. Individual stations can be worked only once on each band over the course of two weekends. You can use any vintage or modern receiver that you wish. The event is open to all 1929 stations including non-AWA members and AWA members. You are encouraged to join the AWA and support 1929 radio! Input Power: Transmitters are limited to a power INPUT of 10 watts or less. However, to help make East-West contacts, power may be increased to 20 watts INPUT between the hours of 0500Z (12 Midnight EST) and 1300Z (8 AM EST). Note this is INPUT power. Power input is calculated by multiplying PA plate voltage x total PA plate current. Example: my plate voltage is 300 volts dc, and plate current is 30 ma, so total input power is 300 x 0.030 = 9 watts input. Stations running more power than this are considered “modern” for this event and do not count. Presently, almost all of the activity is from Minnesota and points eastward....the west is poorly represented for some reason but activity out this way has been slowly increasing over the past two years. 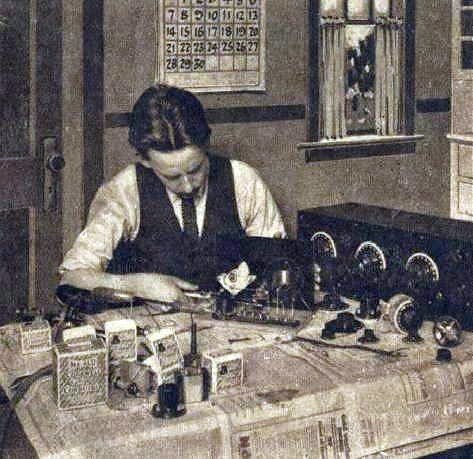 You don't need much in the way of power....every year I work several eastern 'BK' stations that are running just 2 or 3 watts, usually using receiving tubes pressed into RF oscillator service....much like the real boys of '29 likely did. If you want to try something really different and relive the days of early amateur radio then you've still got time to get started. I have some helpful building hints on my VE7SL Radio Notebook site. Now that CLE186 has come and gone, worldwide results will soon be posted by e-mail (to all those submitting reports) as well as to the CLE website. CLE organizer and data-cruncher Brian Keyte (G3SIA), indicates that 50 logs (and over 2,000 reports) have been submitted, including two first-timers - Graham (VE3GTC) near Ottawa, ON and Hans (BX2ABT) in Taiwan. It's always great to see new activity, especially on LF! As is usually the case with CLE's, propagation conditions begin to deteriorate shortly after the announcement of the upcoming event. By the weekend's arrival, conditions are usually much worse than earlier in the week and such was the case once again! 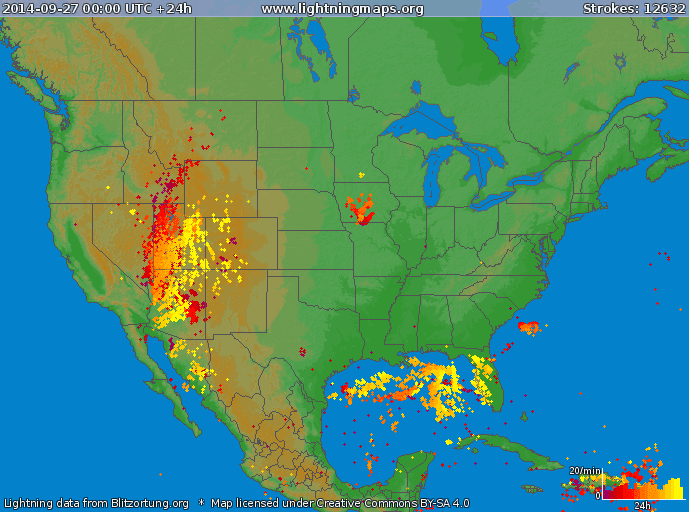 In North America, lightning activity and mediocre propagation dominated the three-night event, with the consensus of opinion giving the nod to Saturday night and early Sunday morning as being the best period. Here on Mayne Island, Friday night was pretty much a wash and only the stronger signals made it through the din and into the log. A twilight check on Saturday evening indicated improving propagation and less lightning, renewing optimism that the entire weekend would not be a wipeout. Since purchasing the Perseus SDR earlier this year, I have been using it exclusively for the past few CLE's. I have been exploiting one of it's main features....the ability to record the entire band overnight and then tune through the band the next day, as in real time. I no longer had to prop my eyelids open until 0100 or later, or to leave a sound sleep to journey out to a cold shack to hunt the pre-sunrise band for anything new....yes, Perseus has made it possible to DX while I sleep! Now the very concept of this horrifies many of the 'purists' and I myself held-out for several years before venturing over to the darkside...but...embracing new technology along with its associated new learning is what is important. If I get to sleep-in because of it, even better! So....that's the way it is supposed to work, but due to operator error, Perseus failed to launch on Saturday night, and the best conditions of the CLE were missed altogether. Having seen the error in my ways, the perils of Perseus will, hopefully, not strike again! Conditions on Sunday night were noisy once again, although not as bad as Friday, and the following log was gathered after parsing through my overnight recordings. It was nice to salvage Sunday night but I'm still a little bummed about missing the best night of the weekend...at least I had a good night's sleep.